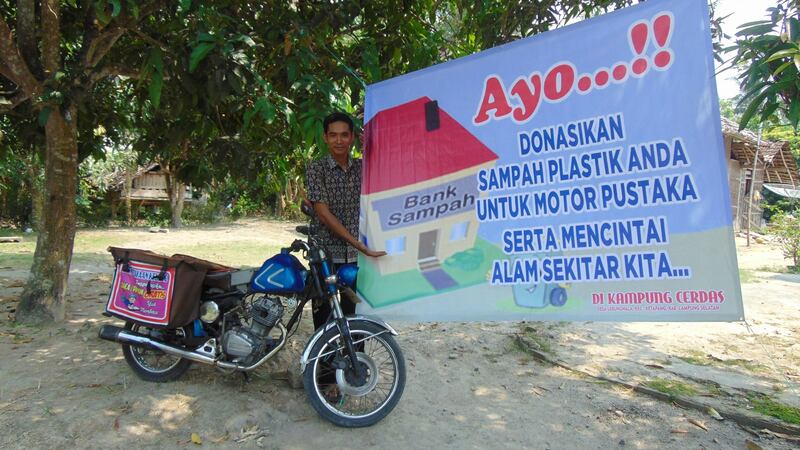 Mr. Sugeng is a former elementary school librarian from Java who migrated to Lebungnala in the neighbouring island of Sumatra and became a motorbike mechanic. 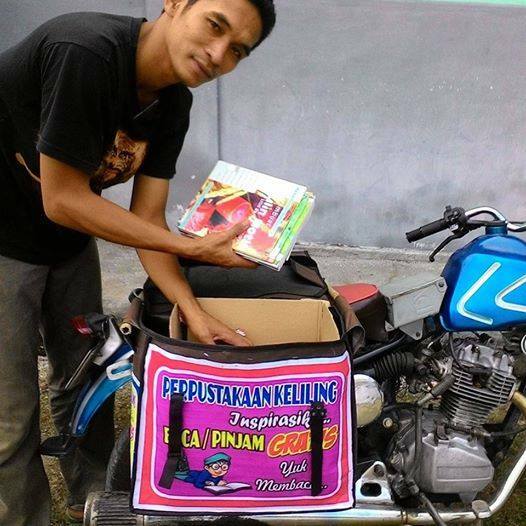 He combined his love for engines and books by establishing a mobile library on two wheels. 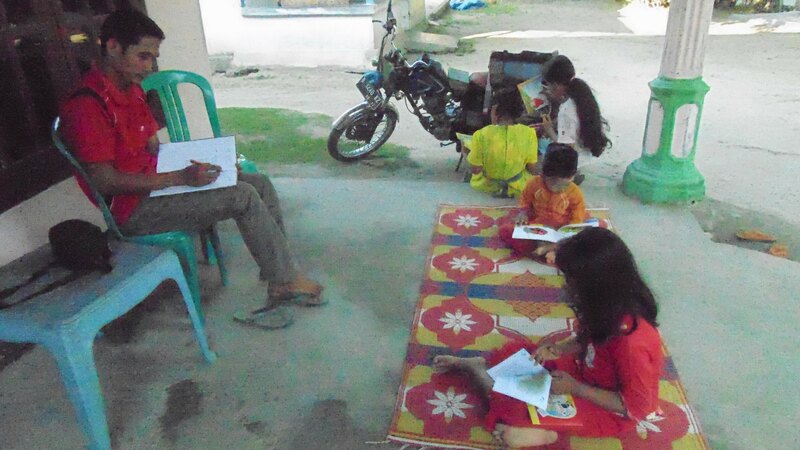 Under the motto #Membaca_Itu_Gaul (reading is cool) he provides neighbouring communities with reading materials. 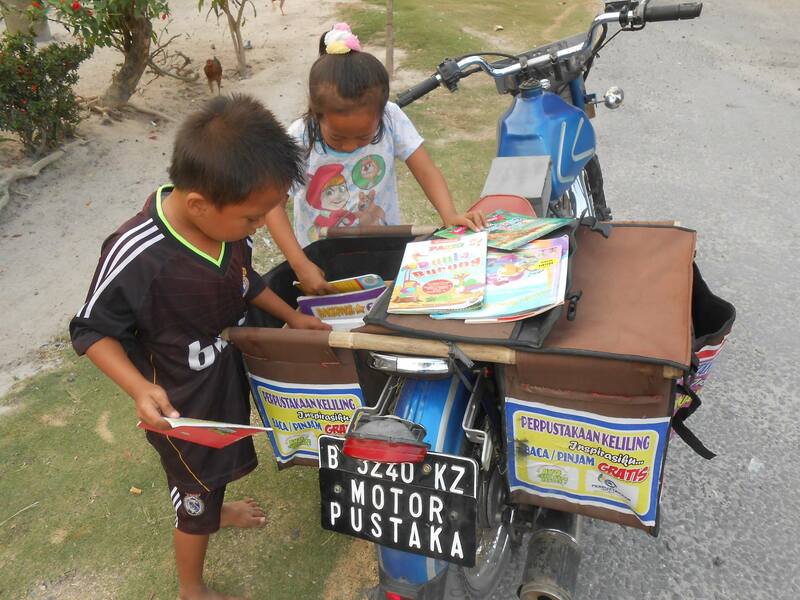 Lebungnala is surrounded by palm oil and rubber plantations, therefore through our Eco-Education program we intend to tackle the deforestation and also waste management issues.